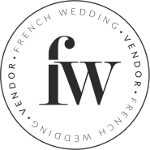 I have a fabulous exclusive offer to share with you today courtesy of one of our Freshman Wedding Business participants – Bridal Eyewear by Karen Louise. 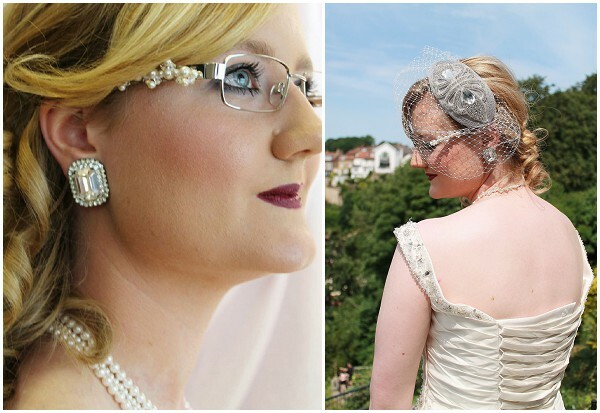 As a proud spectacle wearing blogger, I was delighted when I found Bridal Eyewear, the original, fashionable, designer led Eyewear range to compliment your wedding. But why the need for special spectacles? As a bride you plan and shop for every part of your wedding ensemble, but not always your spectacles which can be a huge mistake! After all your glasses are going to be seen in your wedding photos more than your earrings, more than your shoes and much more than the small fortune you’ve spent on bridal lingerie! 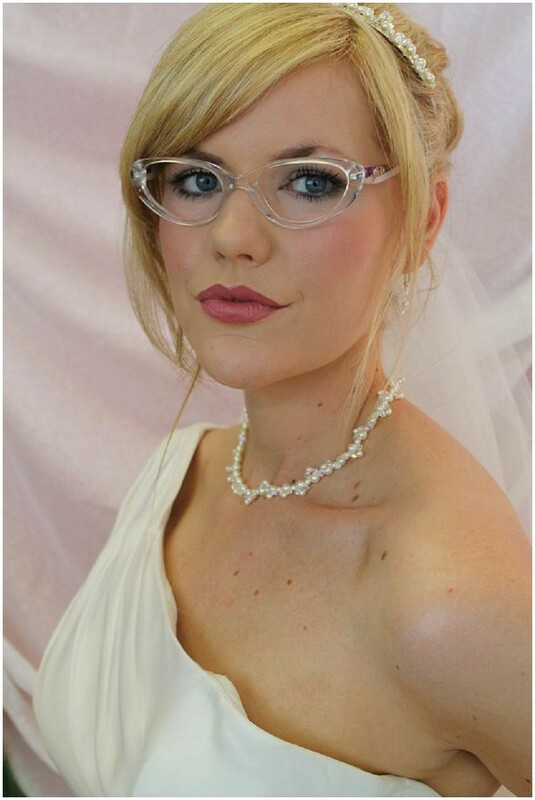 Karen Louise has over 20 years experience in glasses as well as an interest in fashion and felt that she could put these to good use in helping wedding parties choose the ideal wedding glasses for their special occasion. 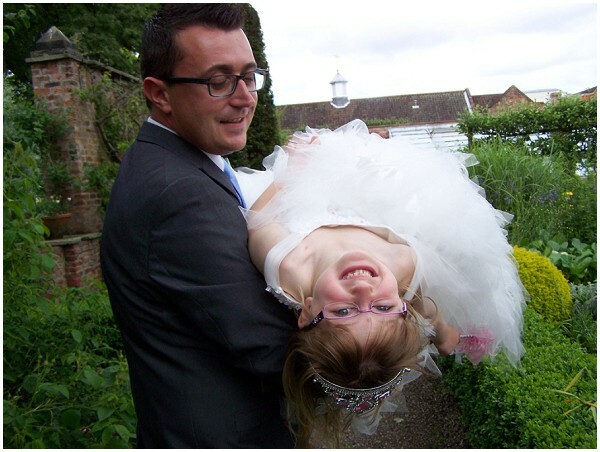 Karen says: “I use lots of different ranges and hand pick the frames that I feel are appropriate for special occasions. I am always looking for new and exciting frames and as an independent, I have good relationships with lots of the spectacle companies like Guess, Porsche, Dunhill and Flair. But these aren’t just any old frames, Bridal Eyewear works with Dianne at Dragonfly Jewellery Design to either match a particular design or works with you to create something unique. Also Bridal Eyewear isn’t just for brides, many mother of the brides like to have a colour put onto the side to match their outfit. Not forgetting the groom aswell. “We have many frames that will match the colours of the suits or ties. Some men like to have a strong full rimmed plastic frame while other like to have a neat rimless with masculine sides. 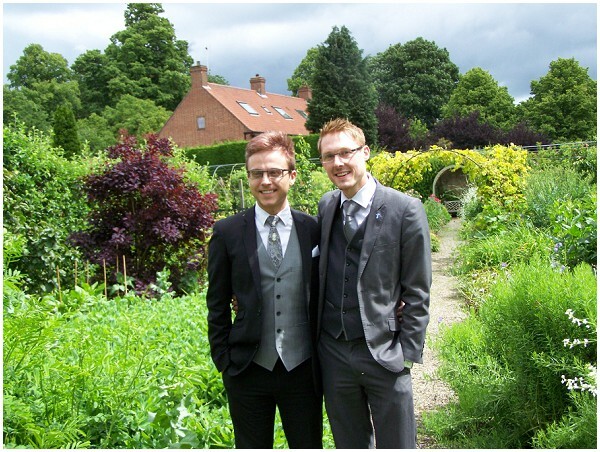 As much as I love most things pretty, there is also an expert science behind the service: “With all our dispenses we never use transition lenses (the ones that change colour – fantastic for the honey moon but not ideal for outdoor wedding photos). We use a good quality anti-reflection coating like Nikon Seecoat and Rodenstock Solitaire Plus. This cuts down the reflections on the lenses so you can see your eyes. Ideal for your wedding photos. Many father of the brides who wear reading glasses (and mothers) when doing the speeches often have to put their reading glasses on then take them off to see the guests and put them back on as well as holding their cards or notes. Reading this post internationally, or unable to meet Karen Louise in person but can’t wait to use her services? No problem, with internet prescriptions you can email Karen Louise your prescription and a photo of yourself and she will find a frame that she thinks will be suitable. Alternatively Karen Louise can conduct a Skype consultation. Find out more about Bridal Eyewear by visiting the website www.bridaleyewear.co.uk and don’t forget the exclusive for French Wedding Style readers with 15% off! Simply quote FWS13 at the check out and the offer runs until 31st December 2013!